Gorgeous hand crafted wall hanging. Perfect for the festive season. 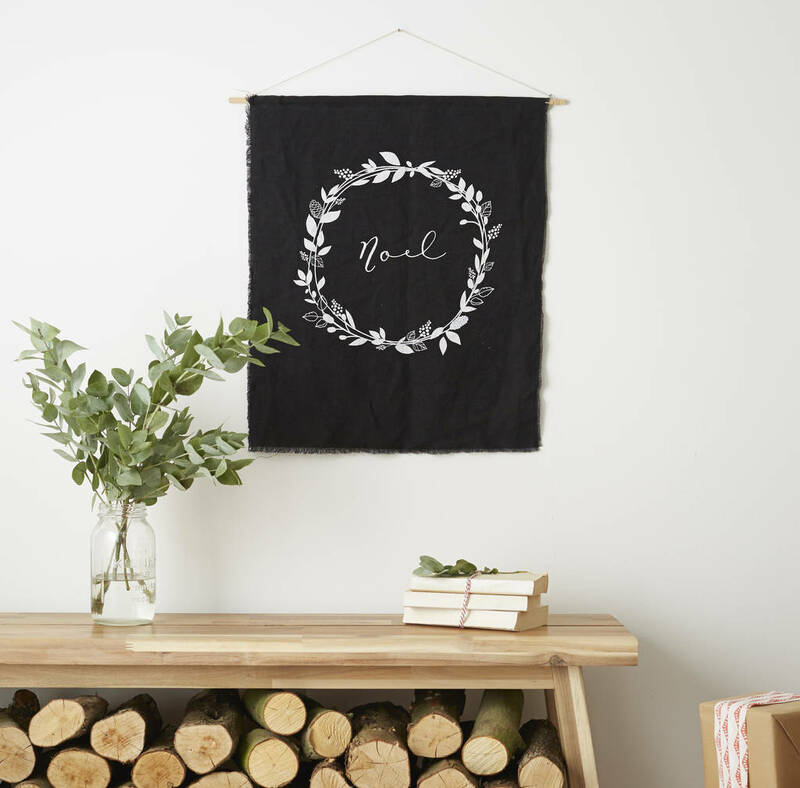 Our original Noel design has been hand screen printed onto 100% linen fabric and hung from wooden dowling to give the perfect mix of scandi and modern rustic charm. Perfect for hanging almost anywhere you fancy!